This post contains affiliate links to products & resources that you’ll hopefully find helpful! 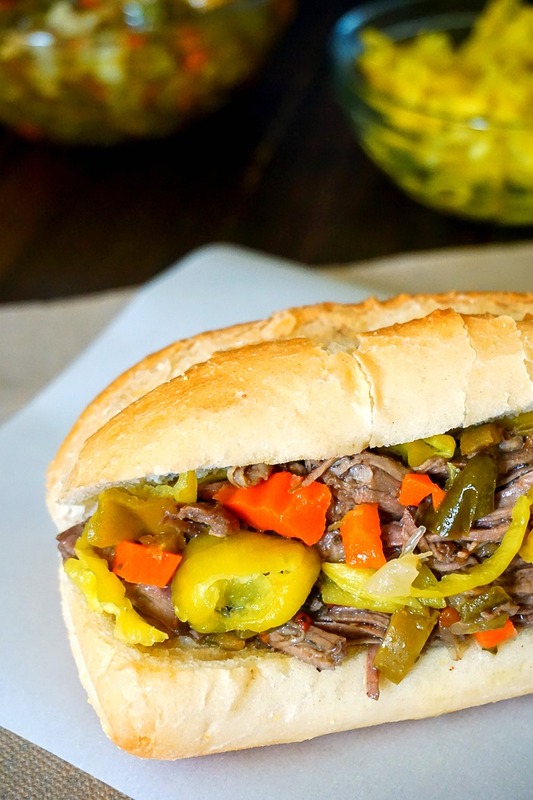 Slow Cooker Italian Beef Sandwiches are a delicious dinner and are perfect for a party! 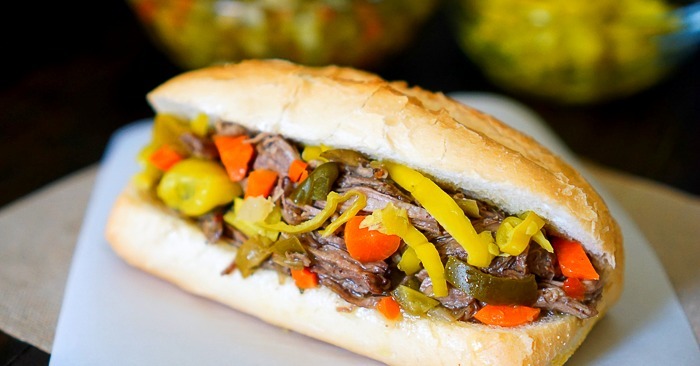 Italian beef is a Chicago staple that Bryan did not grow up eating. I, however, had Italian Beef at almost every graduation party I have ever attended because everyone got it from Portillos Catering. Homemade is always better though and it really did not take a lot of work. 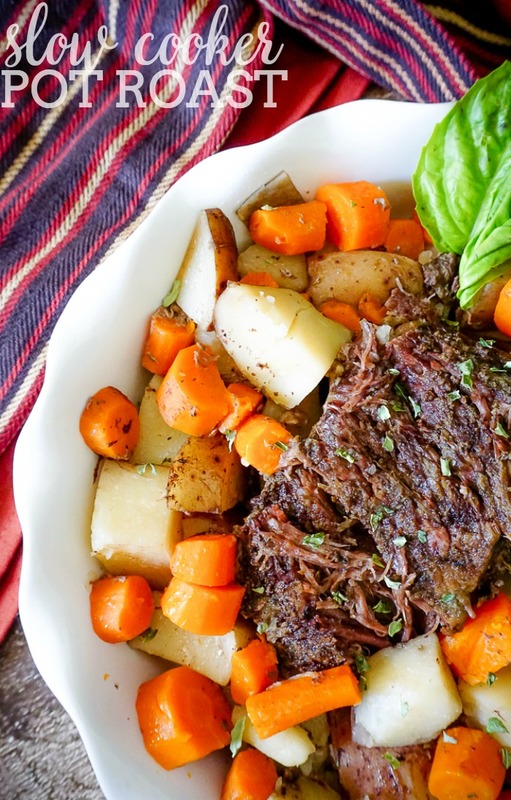 I tossed everything into the crock pot, added the meat and let it cook all day. Then I just needed to shred the meat when it was done cooking which only takes a few minutes. Add broth, dressing packet, and giardiniera to the slower cooker and stir. Then, add the roast. Take meat out, remove fat, and use two forks to shred. 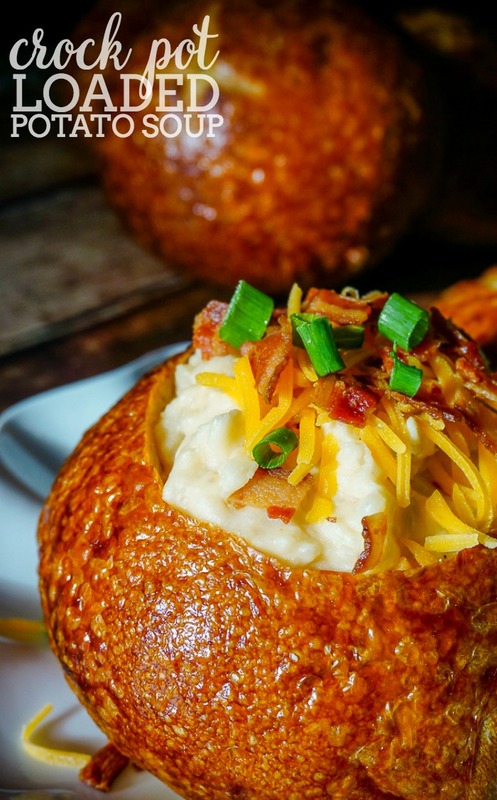 Serve on a french bread roll and add wanted toppings. Fix-It and Forget-It Big Cookbook: 1400 Best Slow Cooker Recipes! YOU MIGHT ALSO ENJOY MY OTHER SLOW COOKER RECIPES, such as my Crock Pot BBQ Brisket Sandwich with Jalapeno Cole Slaw or my 4 Ingredient Slow Cooker Pulled Pork! Join our Awesome Nerd Community for new content updates as well as our FLASH FREEBIES! When you confirm your subscription, you will be taken to a confirmation page with a link to all the current flash freebies to download! Already subscribed but missed the flash freebie email? Simply confirm your subscription again for download access! It looks really tasty! I think I’ll try something like that, but I’ll use mushrooms for it. 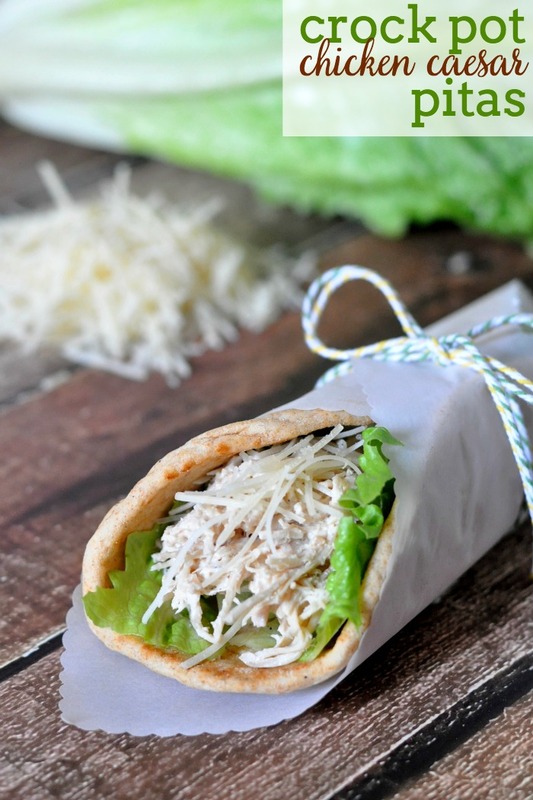 This sandwich is calling my name – I miss getting these from my hometown in Chicago! 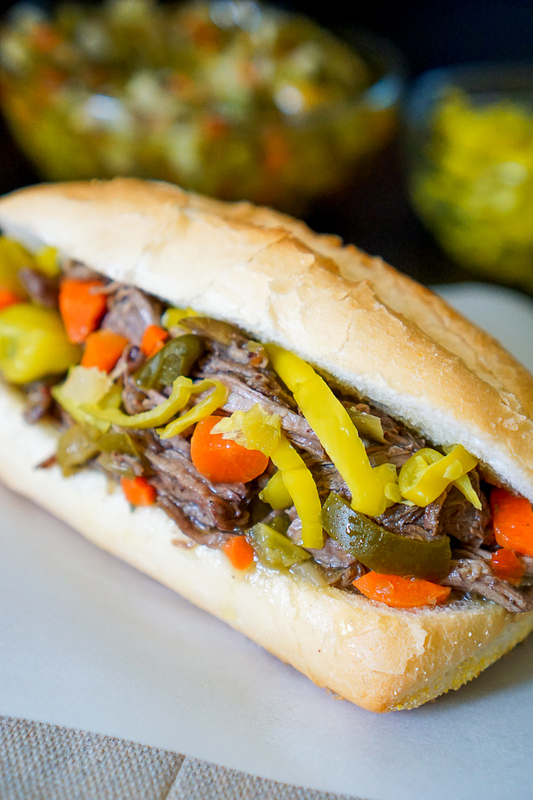 I think it’s time to whip up a batch of Italian Beef! Your recipe looks perfect!